Located in southern Gran Canaria in the middle of the seafront promenade, Apartamentos Oasis Maspalomas is an affordable accommodation option surrounded by nature. The spectacular landscape of the Sahara-like Maspalomas sand dunes create a lovely scenario near the sandy beaches. This hotel features an outdoor swimming pool along with stunning views of the beach and the Atlantic Ocean beyond it. It also offers luxurious and comfortable bungalows. 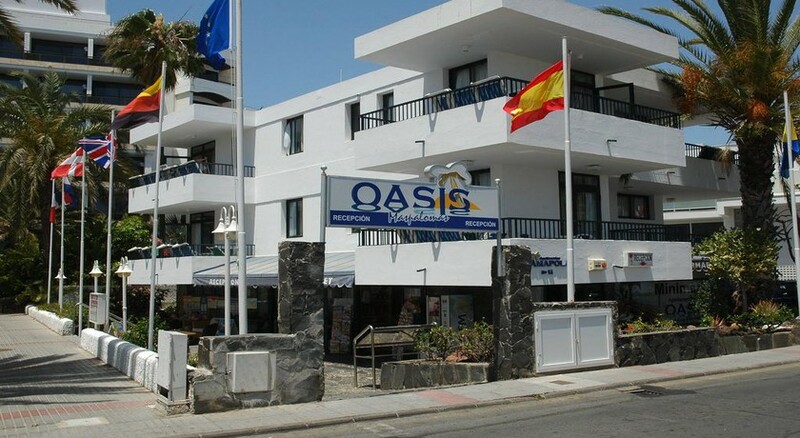 The main restaurant of the Maspalomas Oasis Apartments serves delicious cuisine in buffet manner. Overall, this family-friendly hotel offers outstanding services and provides the perfect opportunity for families and couples to spend a relaxing and entertaining holiday. Apartamentos Oasis Maspalomas is situated on the beachfront area of Maspalomas in southern Gran Canaria. The beach is just 45 metres away from the apartments. The Anfi Tauro Golf Course is 14.2 km and the Mogan Port is 18.9 km from the hotel. The hotel is also close to a number of local attractions like Las Dunas Natural Reserve and the Maspalomas Lighthouse. The Gran Canaria Airport is 30 km from the hotel. 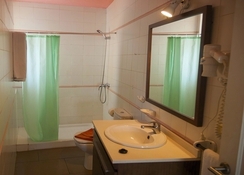 The hotel offers one-bedroom and two-bedroom apartments. 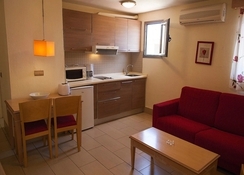 The one-bedroom apartments have one room with 2 single beds and a living area with a sofa-bed. There is a balcony, terrace or garden, a kitchen with microwave, and a bathroom with shower. These can accommodate up to 3 adults including one child. 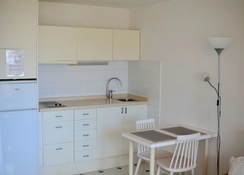 The two-bedroom apartments have two rooms with 2 single beds each, living area with sofa-bed, balcony/terrace or garden, kitchen with microwave, and a bathroom with shower. These can accommodate a maximum of 5 people including children. All apartments have a refrigerator, a microwave, table linen, a coffee/tea maker, TV, hairdryer, lounge, sofa, terrace or balcony, and a safety deposit box (with extra charge). Room-keeping service is provided 5 times a week with towels changed 3 times a week and linen sheet changed once a week. Guests can taste a variety of dishes in the buffet-style for breakfast, lunch, and dinner. The pool bar serves tea, coffee, cola, juices, lemonade, cocktails, tonics and locally produced alcoholic beverages and liqueurs such as beer, whiskey, rum, vodka, brandy, and wine (red, white and rose). The all-inclusive package includes buffet breakfast, snacks, lunch, coffee & desserts, dinner, and beverages. 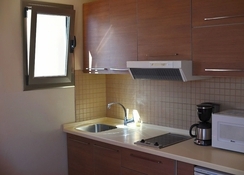 All apartments come with fully equipped kitchens if you wish to prepare your own food. The apartments feature a large outdoor swimming pool with sun beds and parasols. The children’s swimming pool is a separate from the adults’ pool. Also, the entertainment team presents various evening entertainment shows. There is an animation team that arranges special activities for children. There is a free bus service to the beach where guests can engage in water polo and beach volleyball. Guests can walk down to the sandy Maspalomas beach dunes from the apartments. They can also visit the Playa Des Ingles, which has many restaurants and bars that offer local cuisine drinks and souvenirs.